This is a guest post from Kristine Vicencio. Transporting your family is a big deal. Not only do you need a vehicle that allows plenty of space to transport at least more than two people, you need one that is safe and dependable. Even more ideal would be a vehicle that is also eco-friendly. While it may sound too good to be true, eco-friendly family cars are out there. Here are five of the best currently available, curated with the assistance of Parkers, a UK website that helps consumers research cars, insurance and finance. Nissan Leaf: The Nissan Leaf, although slightly smaller making it possibly not the best fit for a very large family, the Leaf is one of the first entirely electrical vehicles made by Nissan. thought to be a zero-emission car, the Nissan Leaf can go 80 miles on one charge. Although the Nissan Leaf was first released in 2012, the Leaf has quickly become popular and has characteristics that make it ideal for smaller families looking for an environmentally friendly vehicle. Starting at $32,500, the Nissan Leaf is also fairly affordable. 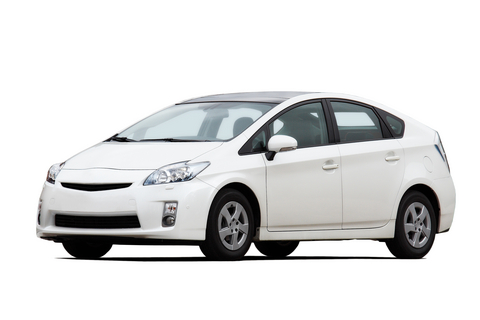 Toyota Prius: Although the Prius may often be thought to be small, it’s actually considered a mid-sized sedan and is much roomier than it looks from the outside. The Toyota Prius is electric and can be entirely recharged within only a few hours, making it an extremely efficient car for families. Even better, the Prius has solid safety features such as a pre-collision system and lane keep assist, which makes it a very attractive eco-friendly car for families. Toyota RAV4 EV: A nice size for larger families, this nifty SUV is battery-powered and successfully combines the spacious interior of a SUV without the gas-guzzling property. The Toyota RAV4 EV has a high-performance battery that is completely electric and can go approximately 100 miles on a single charge. An excellent choice for larger families, this Toyota SUV is affordable and environmentally friendly. Ford Escape Hybrid: Both roomy and eco-friendly, the Ford Escape Hybrid has some of the best fuel economy ratings for SUVs in its class. In addition to its excellent fuel economy, the Ford Escape Hybrid is also roomy with advanced technological features that make it a perfect fit for families looking for an eco-friendly, yet convenient and larger vehicle. Chevrolet Equinox: One of the most popular compact SUVs, the Chevrolet Equinox is another fantastic options for larger families seeking an environmentally friendly option. With an option of a V6 engine, the Chevrolet Equinox offers both power and fuel efficiency. Of course, there’s also the option of four-cylinder option as well. The Equinox also has excellent reliability scores making it an attractive prospect for families seeking a larger eco-friendly option. 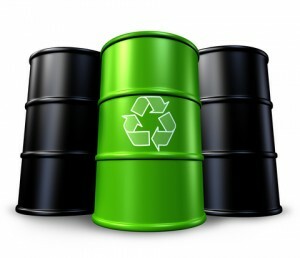 Maybe now is the time to sell and change to something leaner, greener and cheaper to run? As you can see, there are plenty of vehicles on the market right now that will meet those basic requirements. If you want to learn more about going green and driving hybrid vehicles (and hybrid tires), then check out our latest white paper on nitrogen tire inflation: 9 Debunked Myths on Nitrogen Tire Inflation. Click the link to download this white paper and to learn how nitrogen tire inflation can help you improve fuel efficiency and tire life. Going green and offering “sustainable” products and services is the cool thing to do, but the tough part is figuring out what ‘going green’ and ‘being sustainable’ actually means. It’s tough not only for consumers, but also for companies who are (or want) to be green and to reduce carbon emissions and all that good stuff, but aren’t sure how let customers know or prove what they are doing is actually great for the environment. The EcoLabel Index is just the place for that, a comprehensive site collecting data on ecolabels all around the world, increasing transparency and helping buyers and sellers use them more effectively. Use the index to learn what ecolabel means when it’s placed on a product or associated with a company, as well as learn which certifications and labels could fit your company and what it’s doing. Below are a few certifications and ecolabels that would be of interest to managed fleets, transportation directors, and logistics companies that want proof and recognition for what they are doing to reduce environmental impact and to offset carbon emissions. This certification identifies vehicles that reduce harmful emissions of carbon dioxide and air pollutants, improve fuel efficiency, and ensure a cleaner environment. It also comes with a Green Vehicle Guide to let consumers know which vehicles are the best when it comes to reducing air pollution and greenhouse gas emissions. The EPA Smartway is a good choice for managed fleets and transportation companies that want to use green vehicles and hybrid tires everyday, as well as implement tactics in other parts of the business to improve sustainability. The FedEx EarthSmart Solution is an internal company designation for any of their assets — including planes, trucks and facilities — that meet environmental sustainability criteria. To get it, you must meet your own sustainability standards (this means that your company must have sustainability standards) and you must exceed industry standards and practices. The goal here is to recognize those who are reducing emissions and improving energy efficiency. The FedEx EarthSmart Solution website offers a variety of ways for companies and managed fleets to achieve those goals. This is one of the few programs in the United States that emphasizes the reporting and offsetting of emissions by transportation fleets, although they do include buildings and other companies also. The Cleaner and Greener Certification consists of several levels, which depend on your level of carbon emission offsets and effort of environmental impact reduction. Associated with the Leonard Academy, they also offer training services for those who want to start an emissions inventory and want to know their exact environmental impact. Overall, it’s very possible for managed fleets and others in transportation and logistics to learn what’s available in terms of going green, how to go green, and how to be recognized for that hard work and effort. Even though your customers are other businesses, certification and recognition can do a lot for branding and building trust with potential customers. Think managed fleets and the transportation industry can’t do much to go green? Think your customers don’t care whether or not your fleet or trucking company goes green or does something in sustainability? Then you’re thinking wrong! This myth is one of nine we bust in our latest white paper: 9 Debunked Myths on Nitrogen Tire Inflation. Click the link to download this white paper and to learn how nitrogen tire inflation can help your managed fleet.